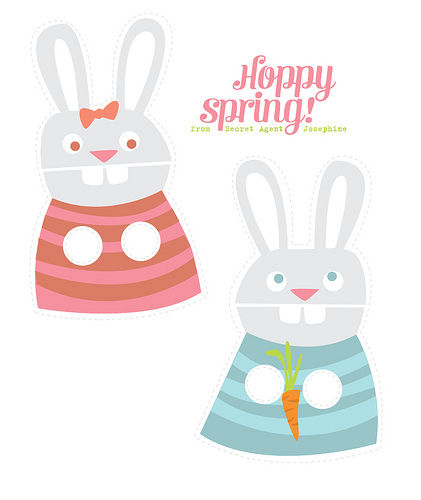 I found a template for some cute little bunny finger puppets on Secret Agent Josephine’s blog. It can be printed either ready coloured like the picture or in black and white. I have some printed and cut out ready for tomorrow. The children can colour them then we’ll laminate them to make them stronger. I’ve got some double sided sticky pads that we can use to attach a cotton wool tail to the back of the puppet. The weather has been unseasonably warm for March. Each day this week we’ve played outside. Our pet bunny, Sherwood (named after the rabbits at Center Parcs) has come out into his run to play too. I keep trying to get a photo of him but he appears to be camera shy! Update: The cotton wool tails didn't work. They kind of fell part and became loose. Might be better to try pom poms next time.